As part of our HIV/AIDS Awareness Programm we conduct Magnet Theatre Session together with Voluntary Counselling and Testing. These Sessions take place at different places all over Busia District, i.E. Markets, Schools, Helath Centres, Trading Centres and others. We as well promote Preventionmethods to get not infected by HIV or STI`s. 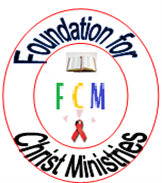 We provide condoms and reffer to health centers for further treatment. Another part is the Family Planning. We offer Counselling about different Family Planning Methods and promote together with other Organizations Familiy Planning Methods in the Communities at Busia District. Family Planning methods include oral contraceptives, injectables, IUD, Male Vasectomy and others.